Even if President Donald Trump signs off on a newly reached bipartisan agreement to keep the government open that does not provide what he has sought in border wall funding, other options are still on the table to build a more substantial barrier, a White House official tells NBC News. The White House is considering using executive action to redirect federal funding to build a larger barrier at the U.S. southern border than what Congress agreed upon Monday night. And, separately, Trump has kept the door open to declaring a national emergency to fund the wall, which would likely draw legal challenges. The government is set to run out of funding again later this week after having been partially shut down for 35 days earlier this year — the longest shutdown in U.S. history. That shutdown occurred because lawmakers did not provide Trump with his demand for $5.7 billion in funding for a border wall. But Trump eventually relented and signed a short term funding package, set to expire Friday. On Monday, a bipartisan group of congressional negotiators announced they reached an “agreement in principle” to avert another shutdown and further fund border security, though it would not include money for a concrete wall. The agreement would provide nearly $1.4 billion for new border fencing, which could include steel slats and other “existing technologies,” and an additional $1.7 billion for other Homeland Security priorities like new technology and more customs officers, multiple sources told NBC News. The deal funds about 55 miles of new border barrier. Democrats dropped a demand to cap the number of beds for undocumented immigrants detained by Immigration and Customs Enforcement. “Well, we put together a deal that we think is fair, that represents our values and will do the job,” House Appropriations Chairwoman Nita Lowey, D-N.Y., told MSNBC’s “Morning Joe” on Tuesday. Senate Majority Leader Mitch McConnell, R-Ky., said Tuesday that it was “certainly good news” that negotiators had reached an agreement. “I look forward to reviewing the full text as soon as possible, and hope the Senate can act on this legislation in short order,” McConnell said in remarks on the Senate floor. Speaking with Fox News host Laura Ingraham on Monday, Trump said he could not go into the details of the agreement, which was reached just prior to his interview. But some of Trump’s allies were apoplectic about the agreement. Fox News host Sean Hannity said on his Monday program that the deal was trash. Allan Smith is a political reporter for NBC News. The White House was looking to shake things up when it designated Iran’s Revolutionary Guard Corps as a foreign terrorist organization. “American terrorists killed in bombing,” read a headline in Iran’s official Fars news agency, referring to an attack in Afghanistan that killed three U.S. servicemen. That came just a day afterthe Trump administration’s announcement and represented a marked change in terminology by Tehran. Iranian lawmakers dressed in military uniforms also chanted “Death to America” during an open session of Parliament on Tuesday. And according to the country’s Mehr news agency, Parliament passed an emergency bill requesting that countries that arrest U.S troops should hand them over to Iran to face trial as terrorists. President Hassan Rouhani declared that the force’s popularity would only surge in the wake of the designation, saying its members would be more “in the hearts of the Iranian nation” than at any other time in history. The White House’s decision to put the powerful military unit with deep economic resources that answers only to the country’s supreme leader in the same category as al Qaeda and the Islamic State group came a year after the Trump administration said it was withdrawing from the landmark Iran nuclear agreement. This is not a hypothetical scenario: For almost two decades Iran has expanded its influence in Afghanistan, Iraq, Syria, Lebanon and Yemen. In the process, it has had to operate close to American forces — often as adversaries, but sometimes not. And the designation raises legal issues, Nephew said. NBC News reached out to the Pentagon for comment. Those who opposed the Obama-era nuclear pact — both in Washington and the capitals of U.S. allies in the Middle East — allege it gave Iran cover to pursue its ballistic weapons program and deepen its influence in the region. Both Israel and Saudi Arabia have warned for years of Iran’s growing power, and were bitterly disappointed when Obama negotiated it. On the eve of pivotal elections in Israel, Prime Minister Benjamin Netanyahu on Monday personally thanked Trump for the designation, as did Saudi Arabia. 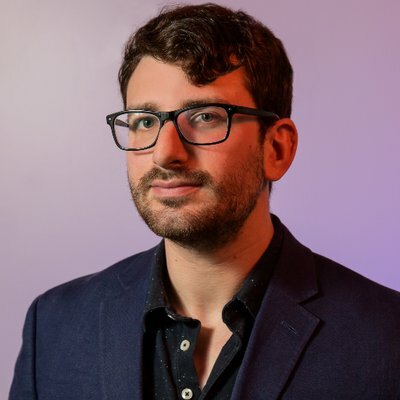 But this week’s announcement makes it less likely that Iran will accede to American demands and stop its pernicious activity in the region, according to Ilan Goldenberg, Middle East security director at the Center for a New American Security, a think tank in Washington. “The bottom line is the agreement was working, it was containing Iran’s nuclear program and we had total international support and unity around this issue,” he said. With the nuclear deal axed, that mechanism for the U.S. to address Iran’s behavior is no longer available. Sanctions against the Guard could also complicate any attempt by a future president to try to return the United States to the Iran deal, both advocates and critics of the move said. “This is part of a strategy by Iran hawks to layer on sanctions to make it more difficult for Democrats,” a Republican congressional aide told NBC News when the designation was announced. Several Democratic presidential candidates have said they favored having the United States re-enter the agreement, and the Democratic National Committee has said it supports a return to the deal. F. Brinley Bruton reported from London, Ali Arouzi reported from Tehran, and Dan De Luce from Washington. 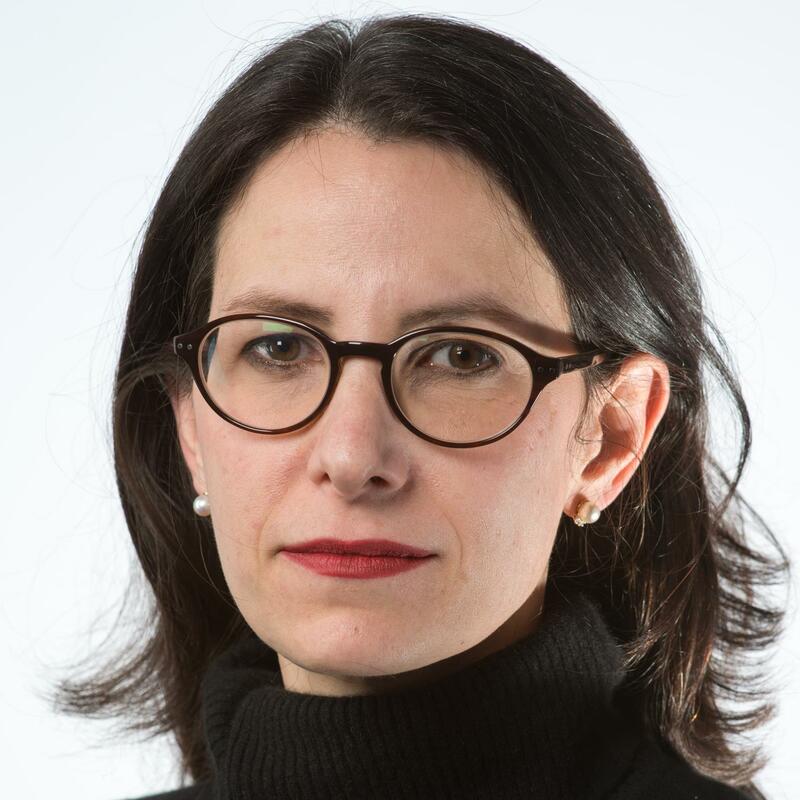 F. Brinley Bruton is a London-based senior editor for NBC News Digital. She focuses on news from the Middle East, Afghanistan and Pakistan. Ali Arouzi is NBC News’ Tehran bureau chief and correspondent. Dan De Luce, Associated Press and Reuters contributed. President Donald Trump tweeted a video featuring images of 9/11 in a political attack on Rep. Ilhan Omar, D-Minn. — prompting some Democrats to rebuke the president’s post. Omar’s reference to the terrorist attacks came in a speech last month at an event hosted by the Council on American-Islamic Relations (CAIR) in Los Angeles. During the event, Omar spoke about how Muslim Americans’ were mistreated and their constitutional rights and freedoms were infringed on after the 9/11 attacks. Within her remarks, Omar made a statement that her critics said glossed over that act of terror. Democrats contend, however, that the president’s video could incite violence. “CAIR was founded after 9/11 because they recognized that some people did something and that all of us were starting to lose access to our civil liberties,” she said in the speech last month. CAIR was in fact founded in 1994, though its level of advocacy grew after 9/11. It was the congresswoman’s wording that “some people did something” — repeated in the video tweeted by Trump — however, that Omar’s critics have seized upon. Trump’s video post on Friday echoed criticism of Omar on the front page of the New York Post on Thursday, which splashed the words “Here’s Your Something” over an image of the World Trade Center towers ablaze. In the days since, Omar’s comments have gone viral, and it has drawn statements — and “no comment” — from party leaders as well as presidential contenders. Omar, who has said that she has been subjected to numerous death threats, appeared to respond to the president’s video in a series of tweets on Saturday afternoon. She noted a number of Trump administration policies that threaten “the ideas of justice, of liberty, of the pursuit of happiness” that the “country was founded on,” including the White House’s child separation policy, transgender military ban and the Muslim ban. “I did not run for Congress to be silent. I did not run for Congress to sit on the sidelines. I ran because I believed it was time to restore moral clarity and courage to Congress. To fight and to defend our democracy,” she tweeted. Many members of party leadership declined to comment about the situation itself or speak to Omar’s remarks. Those vying for the White House, however, seemed more inclined to voice their support for Omar after freshman congresswomen Alexandria Ocasio-Cortez, D-N.Y., and Rashida Tlaib, D-Mich., tweeted their criticism of Trump’s post and called on Democrats to speak out. Democratic Sens. Elizabeth Warren and Bernie Sanders, who are both candidates for president, each came out in support of Omar fairly quickly. The President is inciting violence against a sitting Congresswoman—and an entire group of Americans based on their religion. It’s disgusting. It’s shameful. And any elected leader who refuses to condemn it shares responsibility for it. Former Rep. Beto O’Rourke, a front runner in the wide field of Democratic presidential contenders, described the president’s tweet to a town hall in South Carolina on Saturday morning. Many of those in attendance were unaware of the situation and gasped in response. “This is an incitement of violence against Congresswoman Omar — against our fellow Americans who happened to be Muslim,” O’Rourke said, who emphasized the prevalence of hate crimes in recent years and that the president’s comments have consequences. Ocasio-Cortez, a Democrat with an increasingly growing platform, called the video an “outright, dangerous targeting of a member of Congress” that other members should speak out against. She also quoted a poem by a German pastor, “First They Came,” which speaks to the failure of many people to resist the Nazis’ persecution of Jews and other groups that ultimately led to the Holocaust. Rep. Rashida Tlaib, D-Mich., who has been outspoken in her support of Omar, a fellow Muslim congresswoman, called the Post cover a “pure racist act” in an interview with MSNBC Thursday. Anti-Muslim hate crimes are approximately five times higher than they were before 2001, according to the FBI. The United States government also passed controversial surveillance laws like the Patriot Act in the wake of the attacks, which was often used as the basis to spy on Muslim Americans and mosques in the United States. Doha Madani is a breaking news reporter for NBC News. 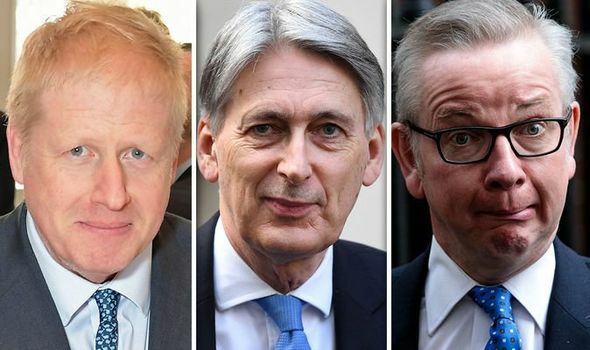 PHILIP HAMMOND has attacked Environment Secretary Michael Gove and former foreign secretary Boris Johnson had formed an “unintended suicide pact” in the 2016 leadership contest. Brexit POLL: We ask our readers do YOU want a No Deal, an election or second referendum?